ith software companies seemingly tearing any visual reference to wood or leather from their operating systems and apps, it’s good to see that these materials still have a home in the hardware world. 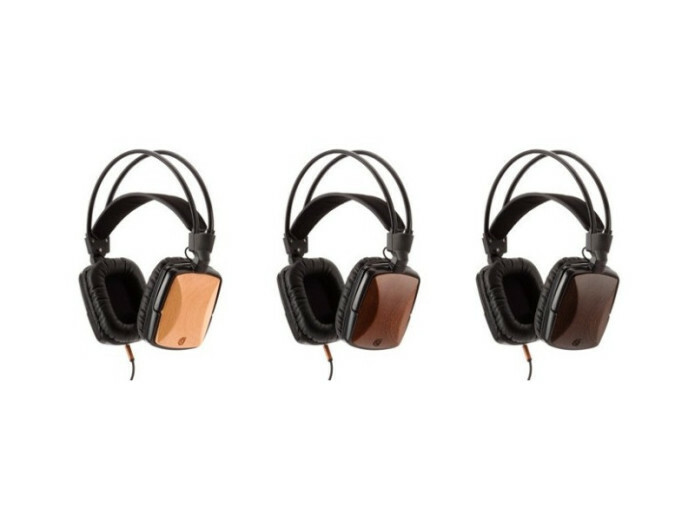 Griffin’s WoodTones may seem like the name of a 60s folk group, but they are in fact a very nice pair of over-the-ear headphones that get their name from the wooden backs that adorn the earpieces. The pair we were sent are beech, but the range also includes walnut and sapele, all of which look rather splendid. The wood itself features a gently curved back, with two tapered edges and the Griffin logo carved into the lower centre. A light varnish allows the grain to show through, lending the WoodTones a classy, almost retro, air. The padded earpieces are soft, comfortable and roomy, while the rest of the assembly is finished in a matt black plastic that compliments the pale wood. We’re never entirely keen on the one-size-fits-all design ethos, but the leather head-strap is reasonably pliable and has a decent amount of give in the elastic fabric. There is a slight tension across the head of the wearer, but its not enough to make the Woodtones feel uncomfortable during extended use. The choice of timber as a material is more than just an aesthetic one. Musical instrument manufacturers have long known the acoustic qualities of certain tonewoods, and Griffin has applied the same principles here. The company claims that the wooden housings ‘enhance voice and bass frequencies without colouring the sound’, and while we can’t necessarily prove that without breaking out the spectrum analyzer, the sounds that emanates from the headphones are clear and have appreciable depth. Bass response is tight and defined rather than boomy, which stops the lower frequencies flooding out the sound. This can feel a little thin on low-down, bass heavy tracks, but for the most part the tones are rich and full, providing the listener with an excellent representation. Spoken word media is warm and clean, with the padding on the earpieces doing a fine job of cutting out much of the surrounding noise of a city street or crowded train that would otherwise render audiobooks nothing more than fragmented whispers. 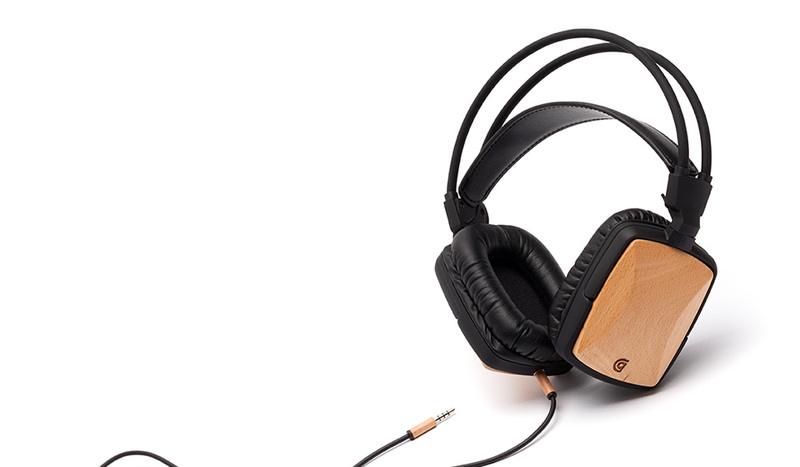 The WoodTones come with a separate 3.5mm jack lead that plugs into the bottom of one earpiece. This has the advantage of saving the wearer from a nasty surprise, and potential whiplash injury, if they should stand up while the lead is caught under anything. It also means that if the lead is damaged then you can simply replace just that part rather than the whole unit. A nice feature is that the lead contains an inline control unit, replete with button and microphone, allowing you to answer your iPhone and even activate Siri without taking the handset out of your pocket. In use we found the microphone to be accurate and sensitive enough to pick up commands such as ‘play Hendrix’ without confusion in noisy surroundings. At £75/$113 the WoodTones aren’t exactly cheap, but the quality construction, excellent sound, and elegant design make them well worth the investment. The ability to manipulate your device via the inline controller is a very useful one, and the wood finish elevates the WoodTones above the sea of plastic that is usually on offer.